Support optimal Bone Health. Supports calcium absorption and promotes a healthy immune system. 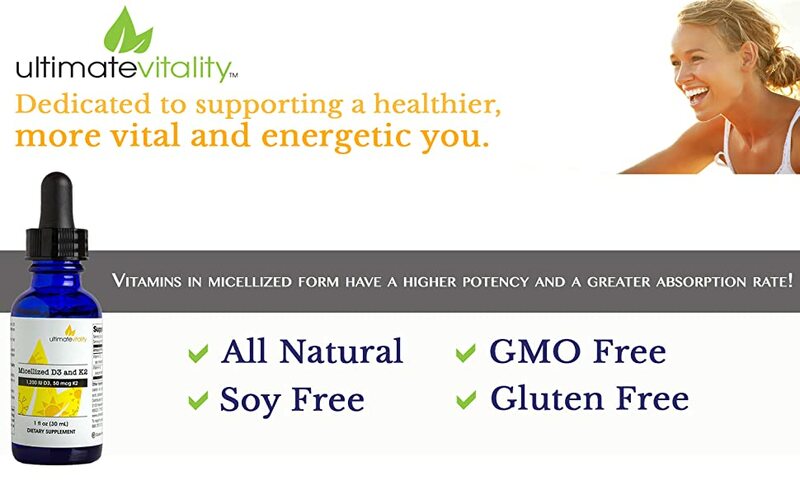 Micellized D3 K2(MK7) is a natural‚ soy-free‚ form of Vitamin D and K2 in a water in a water-soluble micellized form. Micellization greatly increases the solubility‚ absorption and bioavailability of our vitamin D3 over oil or emulsified forms. The micellization process produces tiny droplets (micelles) that are then formed into highly absorbable aggregate structures. Designed with a higher absorption rate than most common vitamins, Micellized Vitamins allow you to take a lower dose for maximum results. Micellized Vitamins are easy to take and can be added to juice, water, or smoothies. Delicious in flavor, they can also be administered by themselves. Vitamin D facilitates calcium absorption from the GI tract into the bloodstream and thus plays an important role in maintaining bone density. Once Calcium is absorbed, Vitamin K helps transport calcium from the bloodstream into the bone. 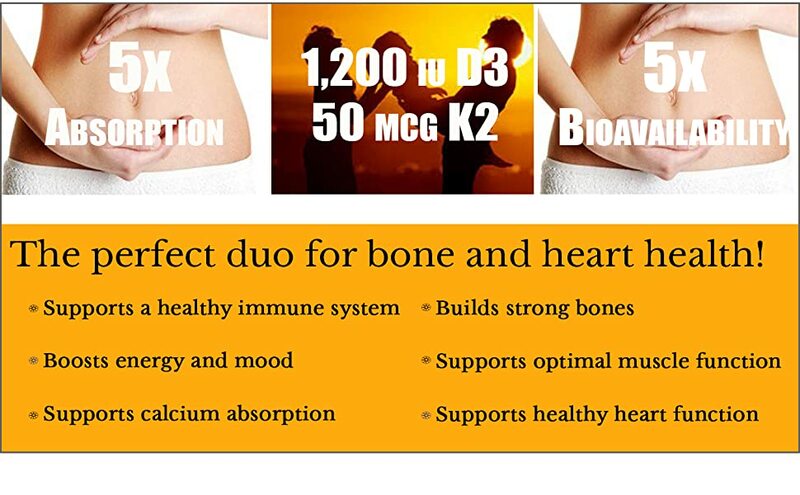 Together these two vitamins help maintain appropriate calcium skeletal distribution. Calcium is critical for optimal bone density as well as normal growth. Vitamin K2’s role in supporting bone & cardiovascular health is crucial. We all know that calcium is critical for our overall health, especially that of our bones. One important fact you may not be aware of though is that calcium needs support from Vitamin K2 to actually make its way from your bloodstream into your bone. This is extremely important as excess calcium in the bloodstream can disrupt kidney health, and actually, build up in soft tissue and arteries compromising cardiovascular health. Vitamin K2 helps maintain both cardiovascular AND bone health by ferrying excess calcium from the bloodstream into the bone where it is needed.